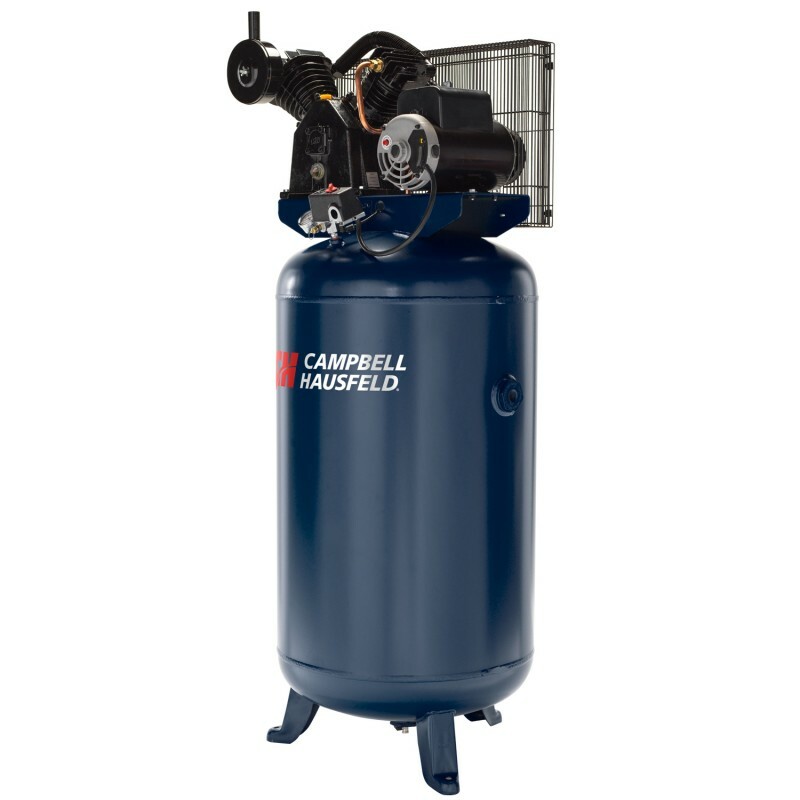 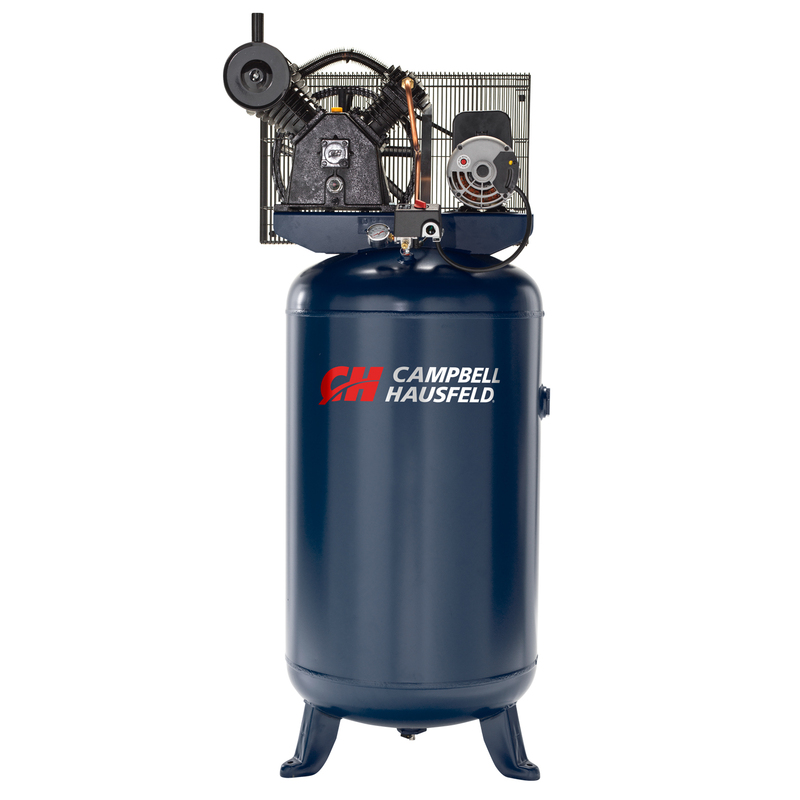 The Campbell Hausfeld, 80 Gallon, 2 stage, stationary electric air compressor (XC802100) features a cast iron, oil lubricated 2 stage pump for increased longevity and reduced noise. 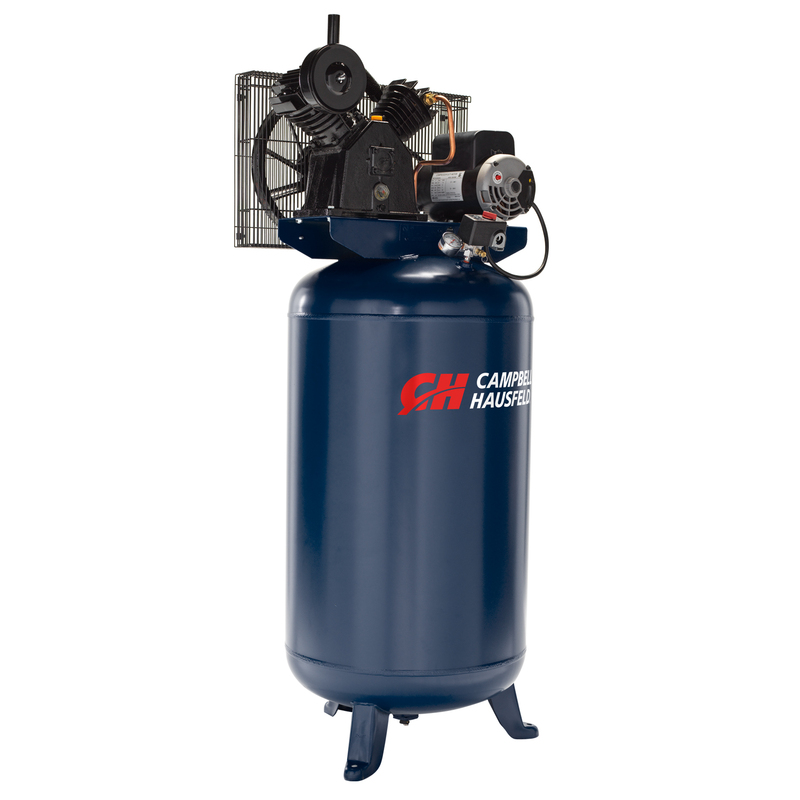 Boasting 175 PSI max pressure and 15.8 CFM @ 90 PSI, the unit allows the user optimum tool performance. 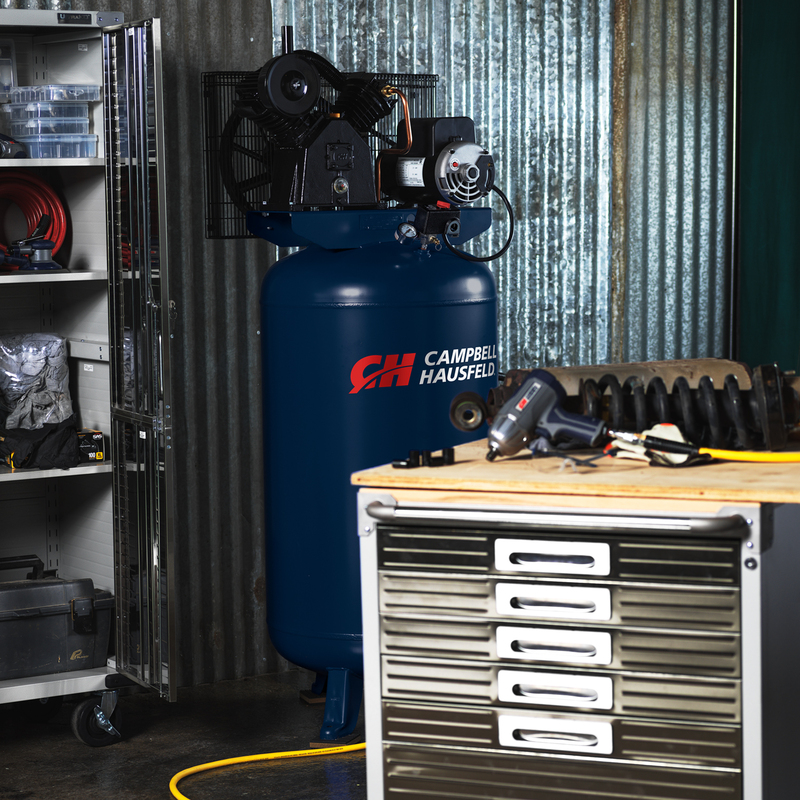 The 80 gallon ASME vertical tank design is ideal for garage and workshop applications with a space-saving footprint. Needing a 230V power supply, the XC802100 is ideal for rotating tires, repairing engines, grinding, sanding, painting, nailing and more.